Patients have been told throughout their entire lives that good oral hygiene is the key to having good oral health. By brushing and flossing every day, along with regular visits to the dentist, a person can significantly reduce his or her risk of developing cavities or gum disease. However, studies have shown that poor dental health can lead to other problems outside the mouth. In addition to gum disease, poor oral health can also lead to Alzheimer’s, diabetes, and stroke. The health of your mouth can also affect the health of your heart, increasing your risk of endocarditis. A study presented at the 12th Annual Spring Meeting on Cardiovascular Nursing in Denmark showed that adolescents with congenital heart disease were less likely than their peers to regularly brush and floss their teeth. The reasoning behind this phenomenon is that when too much bacteria accumulates in the mouth, some of it enters the bloodstream toward the heart. Bacteria can make its way to the heart and clog up vital arteries. Everyone should maintain good oral habits, but patients particularly susceptible to developing heart disease should pay extremely close attention to their oral health. 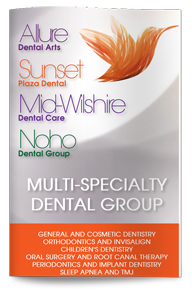 Our West Hollywood dentist recommends that the best way to take care of your mouth, and by proxy the rest of your body, is to brush twice a day, floss every day, using antimicrobial mouthwash, and visit your dentist for a dental examination at least twice a year.